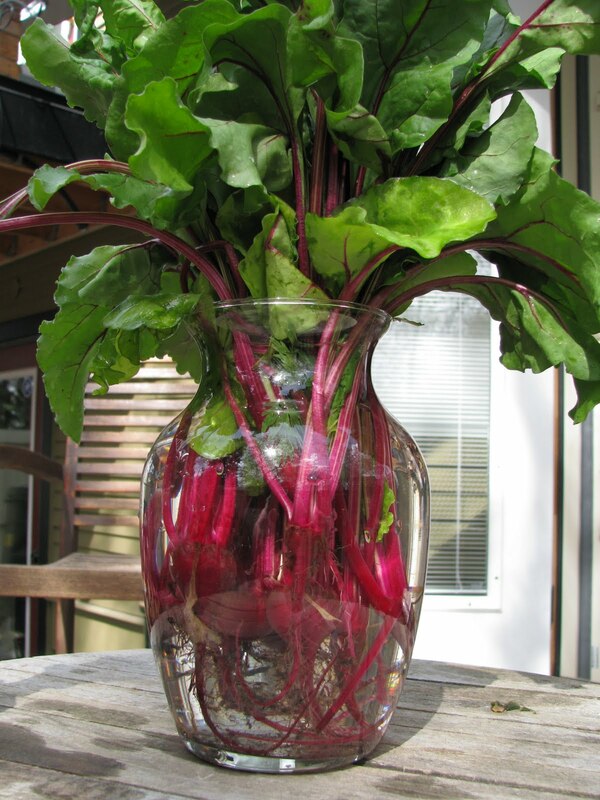 How would your friends respond if you dropped off a bouquet of beets to celebrate a new baby? I am sure Debra Prinzing, author of the upcoming book A Fresh Bouquet (http://afreshbouquet.com), would be delighted. Prinzing spoke to a group of garden writers about bouquets of vegetables and fresh regionally grown flowers and there was a collective aha moment among the group. READ MORE IN MY CALGARY HERALD COLUMN AUGUST 5TH OR LISTEN TO CBC RADIO TODAY IN ALBERTA 12:30-1:00 PM. oh my word, I absolutely love this idea! 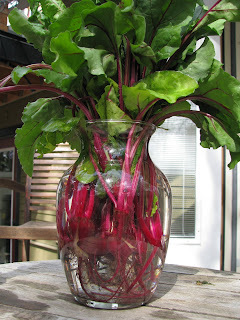 I am going to have to plant beets next year - maybe several colors so I can mix them together! Weeds- what are you gonna do?